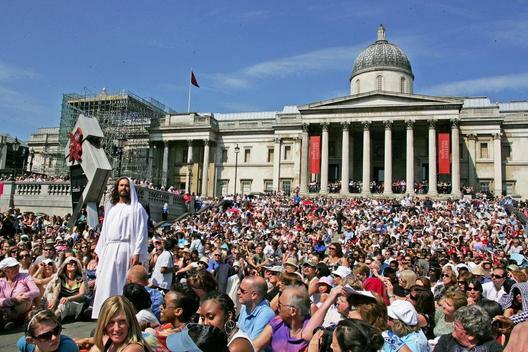 All kinds of Christians are joining together to host Easter festivals or put on public Passion performances in the heart of their town or city. A great way to share Good news. Andover Passion - 6th April The Andover Passion brings churches together for the central weekend of the Christian calendar, graphically recreating scenes of the crucifixion in the high st. Producer Sharon O’Leary, said: “Christians can achieve a lot when they concentrate on the essential truths they share.” Andover Passion. Brighton - Soul by the Sea Easter festival: 7th-8th April. 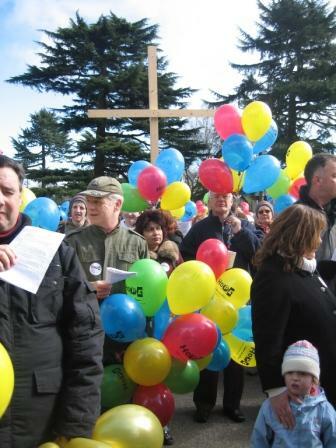 Hosting Christian bands and artists and incorporating a flash mob and a spectacular reprise of the Passion of Christ play that caused such a positive reaction on Brighton seafront in 2011. Local churches take ownership of the event by putting on a variety of Fringe events as part of the festival. Read more about Soul by the Sea. 2012’s Passion Play is the first to be performed on the streets of central Kendal for 400 years and will take place at various well known places through the town. 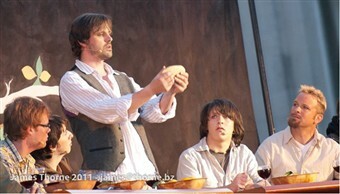 Put on by Kendal community theatre, it is supported by local organisations and Kendal Churches Together. Kendal Passion blog. Check out our quick Easter mission ideas to get inspiration on how you can celebrate an outward looking Easter. We have some tips on communicating the Easter message to others too. Get our HOPE for Easter resource with creative mission ideas or try the Table Talk course and game to get to know what your family and friends feel about the things that matter.